Kaila oversees new business for the firm as Head of New Business Development. Previously, she served as Associate Director of Publicity for the firm, leading book publicity campaigns for prominent thought leaders, including Gallup Chairman and CEO Jim Clifton and renowned management guru Ram Charan. 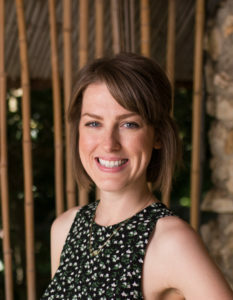 Through her strong relationships, creative messaging, and ability to collaborate closely with authors, Kaila has repeatedly secured coverage in all of the top-tier media outlets, including The New York Times, The Wall Street Journal, Financial Times, The Economist, Bloomberg Businessweek, Forbes, Fortune, and on Marketplace. Kaila graduated with honors from The University of Texas at Austin with a degree in Public Relations and a concentration in Business Foundations from the McCombs School of Business. My favorite part of the job is the creative process that goes into crafting customized proposals for authors seeking our support in launching their book. Thinking creatively about what specific activities and media placements are really going to move the needle for the author, the book, and their platform or business—and then seeing those things come to fruition through our incredibly talented team of publicists is an exciting and rewarding process for us all. I’m most in my element when I’m writing and editing. Outside of work, I’m most in my element when I’m traveling, exploring a new city, and discovering the character and hidden gems of each new place. For me, the real test of how much I will love a book is how deeply I connect to the characters and how much I weep in reading the book. Bring on the tissue. With that, my favorite book is The Kite Runner, by Khaled Hosseini. A close runner-up is The Nightingale, by Kristin Hannah (so much so that my second daughter is named for one of the characters!). The love of my family. This love gets me through every day and every hard moment and fills my life so richly.